In my work as a copyeditor, one of the most common style errors I see is the overuse of quotation marks. Of course quotation marks should be used to set off quotations, but some writers have a rather expansive notion of what quotation marks should be used for, sprinkling them liberally throughout a document on all kinds of words that aren’t quotations. In the editing world, these are known as scare quotes, and some days it seems like I need a machete to hack through them all. On one such day, I decide to channel my frustration into a snarky flowchart, which I posted on Twitter. It was apparently a hit, and I thought it might be helpful to expand it into a post. For the most part, quotation marks are pretty straightforward: they’re used to signal that the text within them is a quote. There are some gray areas, though, that cause an awful lot of consternation. Sometimes the rules vary according to what style guide you follow. This rule is the most clear-cut: use quotation marks for direct quotations, whether the original was spoken or written. Indirect quotations or paraphrases should not be put in quotation marks. Chicago prefers italics to set off the titles of major or freestanding works such as books, journals, movies, and paintings. This practice extends to cover the names of ships and other craft, species names, and legal cases. Quotation marks are usually reserved for the titles of subsections of larger works—including chapter and article titles and the titles of poems in a collection. Some titles—for example, of a book series or a website, under which any number of works or documents may be collected—are neither italicized nor placed in quotation marks. The MLA and APA style guides give similar rules. So if the title of the work is part of a larger work (such as a song in an album or an article in a magazine), then it goes in quotation marks. Most other titles get italicized. However, there’s an exception in Chicago and MLA: titles of unpublished works (for example, speeches, manuscripts, or unpublished theses or dissertations) get quotation marks regardless of length. AP style, on the other hand, does not use italics—all titles are put in quotation marks. This comes from a limitation of news wire services, which could not transmit italic formatting. Many people say “I” even when “me” would be more correct. Both APA and MLA prescribe italics for key terms and words used as words. Most abuses of quotation marks fall under the broad, nebulous label of scare quotes. Many writers put terms in quotation marks to indicate that they’re nonstandard, colloquial, or slang or that the term is being used ironically or under some sort of duress. MLA allows the use of quotation marks for “a word or phrase given in someone else’s sense of in a special sense or purposefully misused” (postmodernists in particular seem to love scare quotes), but Chicago and APA discourage or limit their use. But even allowing for limited use of scare quotes, I have a hard time seeing what’s ironic, slang, or special about the senses of the terms in scare quotes below. All of these came from a text I recently edited, and these examples are fairly representative of how many writers use scare quotes. It’s hard to even make a generalization about what all these uses have in common. Some are a little colloquial (which is not the same thing as slang), some are idioms or other fixed expressions, and some are simply nonliteral. But what about “skim”? There’s nothing scare-quote-worthy about that. It’s just a normal word being used the normal way. And even though major style guides allow for the use of scare quotes, it’s important to ask yourself if you really need them. Just because you can use them doesn’t mean you should. It’s usually clear from the context whether a word is being used ironically or in some special sense, and slang is similarly obvious. And along those lines, both MLA and Chicago say that you don’t need quotation marks when you introduce a term with the phrase so-called. (APA doesn’t say anything one way or the other.) That phrase does the work for you. Scare quotes are often thus a sort of belt-and-suspenders approach. There’s an entire blog dedicated to such unintentionally ironic uses of quotation marks. They’ve even been mocked by no less than Strong Bad himself. But most importantly, if you’re writing for publication, no major style guides allow this sort of use. In short: don’t use quotation marks for emphasis. Sometimes it’s really not clear what quotation marks are being used for. 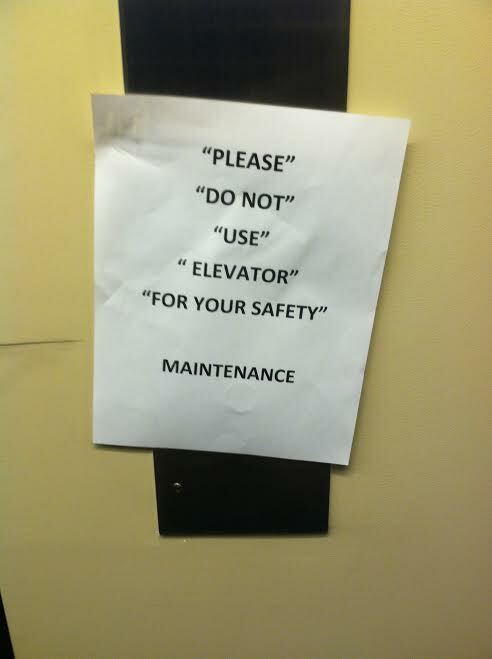 In this example from the “Blog” of “Unnecessary” Quotation Marks, how are the quotation marks being used? Literally? Ironically? Emphatically? Whatever the intent may have been, it’s clear that they’re not needed here. They’re just adding visual clutter and distracting from the real message. When it comes to uses beyond signaling direct quotations, you’ll probably want to refer to whatever style guide is appropriate in your field. But keep in mind that their other uses are limited outside of quotations and certain kinds of titles. Even though most style guides allow for some use of scare quotes, in my opinion as a writer and editor, it’s best to use them sparingly if they’re to be used at all. Keep the hand-holding to a minimum and let your words speak for themselves. Aside from the idioms, the set phrases, and obvious cases concerning slang or whatever, the technique seems in a very general way to be a hedge, signalling that the writer feels some kind of uncertainty about a phrase’s suitability in the context – even when that uncertainty is in fact groundless. Skim may have struck the writer as rather informal, though it isn’t especially so. I would also mention a use of quotation marks found particularly in UK news media, which Geoffrey Pullum has called ‘mendacity quotes’ but which Martyn Cornell more accurately refers to as ‘claim quotes’. I think I’ve seen that quote from the Oxford Manual of Style before, and I wish I’d thought to include it. It certainly can be a useful device in some cases, but I think I see scare quotes overused and misused so much that I’ve probably become overly sensitive to them. I feel that there’s seldom a loss if they’re deleted. And I didn’t even think about quotation marks in UK news media, because I don’t have enough experience with them. As an American, though, I often find them odd and even a little jarring. I find myself wondering if someone actually said it or if the journalist is putting words in their mouth. I can appreciate the idea of claim quotes, though I wish there were a way to signal that they’re not really quotations. I find quotation marks used in handwritten stuff – especially signs – where italics would have been used in print. I suppose asterisks might be better, but it’s hard to argue for italics on a chalk board. Fair point. Underlining is pretty easy, but quotation marks may be a little easier, especially since you don’t have to be able to draw a straight line. As a straight white man doing critical race theory, I find scare quotes to be indispensable. Whenever I’m writing on the topic of race, it’s difficult to talk about “blackness” and “whiteness” without the quotations. There is a significant degree of ambiguity at play when racial binaries appear in literature.